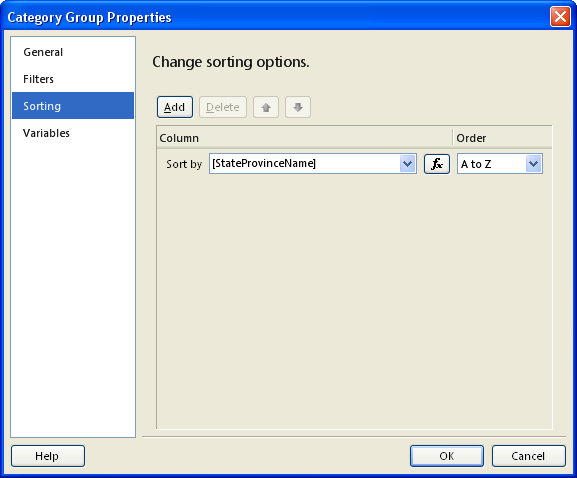 Here are some optimization techniques that can be used when creating charts in SQL Server 2008 Reporting Services. 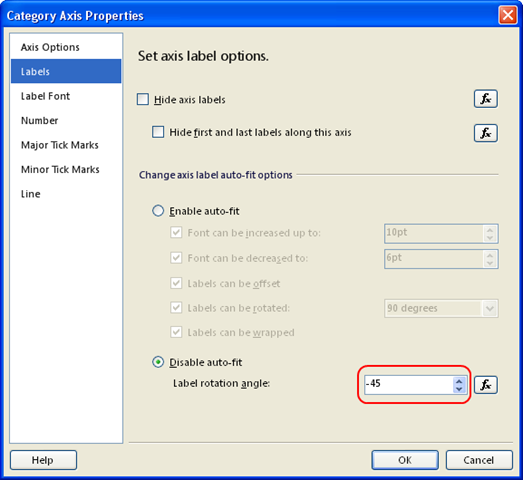 These tips will probably be already known to experienced chart developers, but freshmen charters may spent some time searching how to achieve something before actually finding it, if finding it at all. I know because I've been there myself when I started out and I also know because I've seen questions on forums related to this. Okay, enough vague intro-words, let's get concrete now. 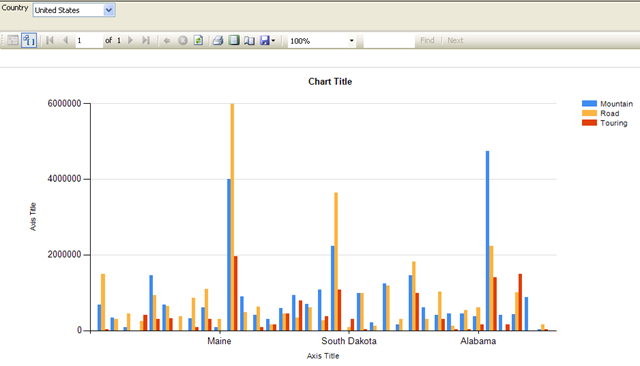 In the following example I'll be creating a regular column chart. Have a look at the chart above and try to guess what you're seeing. Difficult, huh? Let's make some changes to it. First we start with some basics like giving it a clear title. 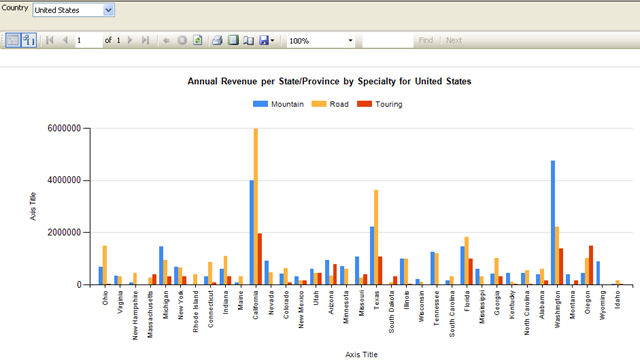 This chart shows the annual revenue per state/province, split up by store specialty. The states or provinces shown are those of the selected country. 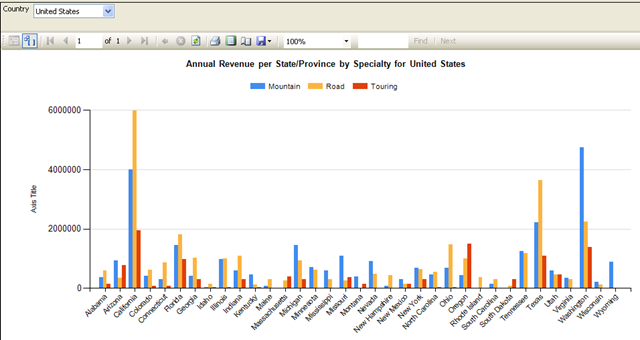 I would call it "Annual Revenue per State/Province by Specialty for <SELECTED_COUNTRY>". 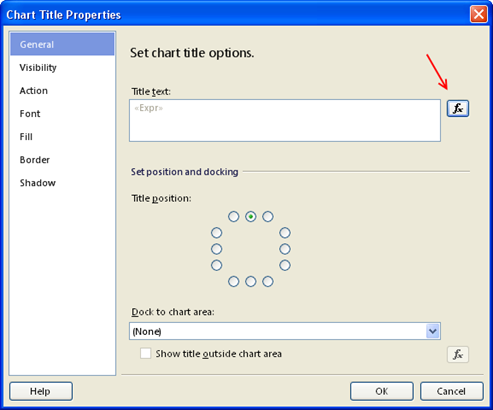 As you probably know, the chart's title can be edited by giving it a single-click. However, this does not give you the option to build an expression so unless you want to type it all from memory, here's another option. You can right-click on the chart's title. This gives you a pop-up menu with Title Properties... as one of the options. Also, let's move the legend to the upper middle to make extra horizontal space for all those bars. This can be done through the Legend Properties. Lastly, now that we've freed up some space for the chart area, we'll modify the X-axis properties so that it shows all labels. 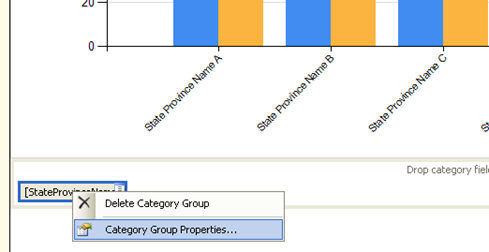 When opening up the axis properties for the X-axis on a column chart you get the Category Axis Properties screen. Like all other property screens, this is also one with several pages. You see that one of the pages is called Labels and as you want it to show all labels, that's were you start looking. Well, stop looking, that's the wrong place. 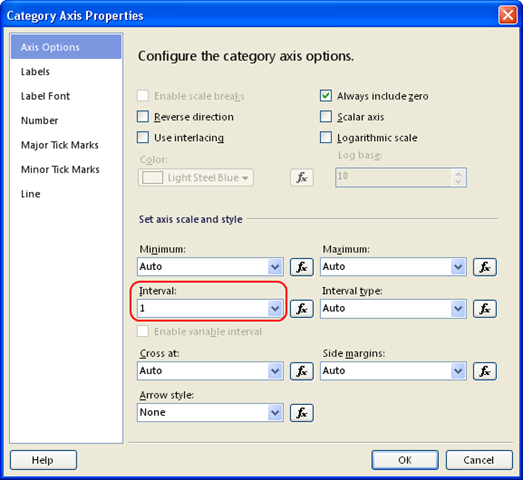 The option that you need is located in the first page, the Axis Options, and its called Interval. 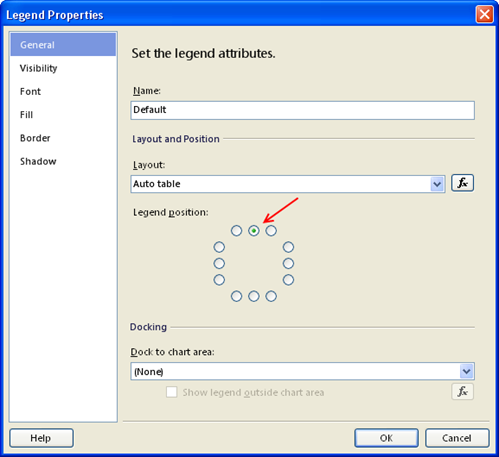 This is the interval between each label on the axis, and by default it is set to Auto. As we want all labels, change it to 1. Better, but we're not quite there yet. Indeed, that gives the following result (I've also removed the X-axis title). 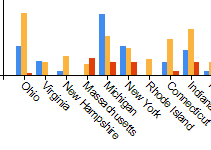 To finalize the X-axis optimization, I've added sorting so that the States/Provinces are sorted alphabetically. This is a recommended design practice to keep your different charts consistent. On the Sorting page just add the field that's shown on the X-axis. So, now that we're done with the X-axis, let's move on to the next letter of the alphabet. Our Y-axis (also known as Value Axis on a column chart) is not very readable at the moment. The numbers are too large and there's no formatting. You don't even see that this is a currency value. In fact, a chart has got two Value axes and two Category axes, a Primary and a Secondary. The Primary axes are the ones used right now. To move the visible axis to the other side, it's not through the Value Axis Properties as you might think (I think you're getting the hang of it now, right? ;-). 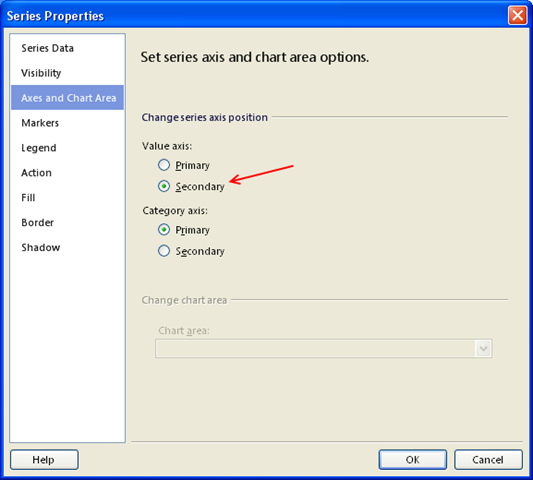 No, all you need to do is move all data series to the secondary axis. This can be done through the Series Properties. The Axis and Chart Area page is the one you're after. Ow, if you found this article to be helpful, don't forget to click the "Yes" button below. Thank you for reading my article, and happy charting!